Low-interest credit cards are best for those who will carry a balance from month to month, such as for big purchases. The lowest interest rates will be offered to those with the best credit. But, if you plan to pay off the balance of your credit card each month, then high interest rates may not be as important to your decision. Interest rates can also fluctuate, depending on the card. While some cards have a fixed rate, others may offer a 0% APR for a short period of time and increases after the introductory rate expires. You rate could also increase if you miss a payment. There are plenty of no-fee credit card offers available, but that’s not the case for all cards. You may run into payment protection fees, paper statement fees, late fees, cash advance fees, checkout fees, balance-transfer fees, rewards-related fees or foreign transaction fees. If you plan to use your card for travel, big purchases or for emergencies, you may want to apply for a credit card with a higher limit. But, if a credit card is going to burn a hole in your pocket, a card with a lower, more controllable limit might work better for you. Your limit may increase over time as you pay your bills on time. You can often request a higher limit, but smaller, incremental raises can make it easier to manage your charges and debt. Think about what credit card rewards will benefit you most, from travel rewards for hotels and air miles to cash back on groceries and gas. You’ll want to apply for a credit card that gives you rewards you can use. You’ll have an array of enticing introductory promotions available when you apply for a credit card. Some promos may include bonus rewards or cash-back bonuses just for signing up. Others may include benefits for charging a certain amount in the first few months. Just remember, promotions like low interest rates or no annual fees will come to an end, so plan accordingly. 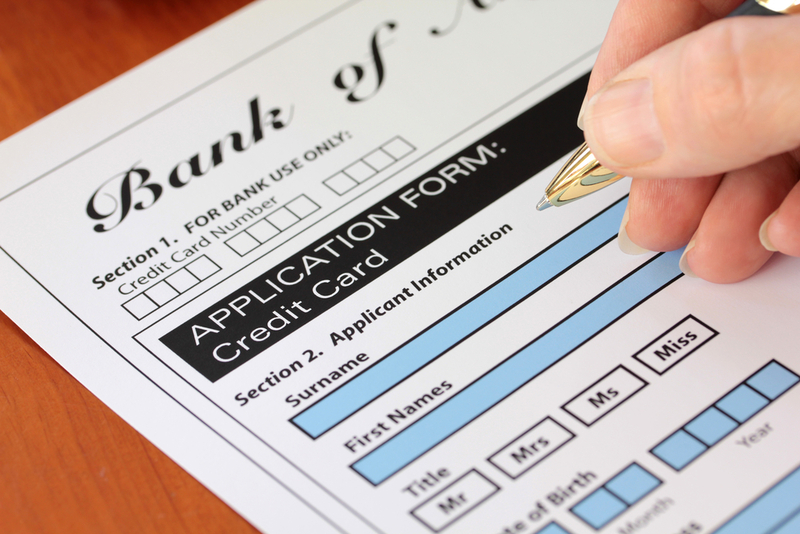 The most important thing you can do before applying for a credit card? Read the fine print. Credit card application photo via Shutterstock.